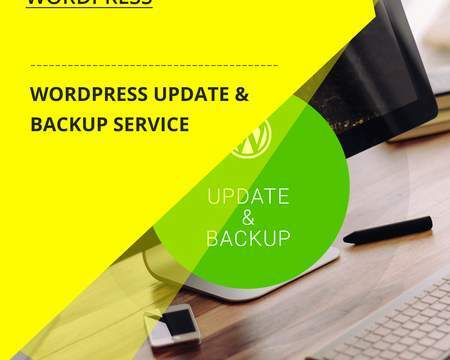 - The latest secure WordPress version will be uploaded and old WordPress files replaced. 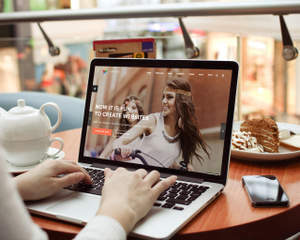 Includes updating of MySQL database. 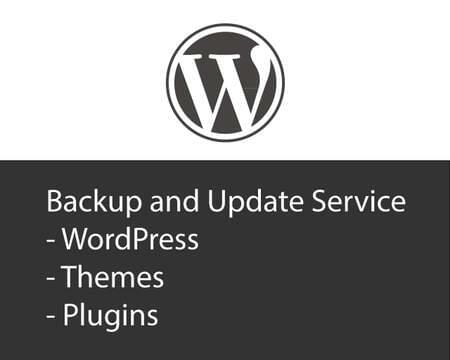 - All plugins updated and verifed to be working with new WordPress. Alternatives suggested for incompatible or insecure plugins. 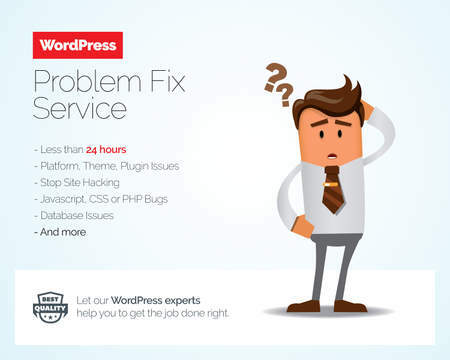 - Any theme which has not been customised can be updated. 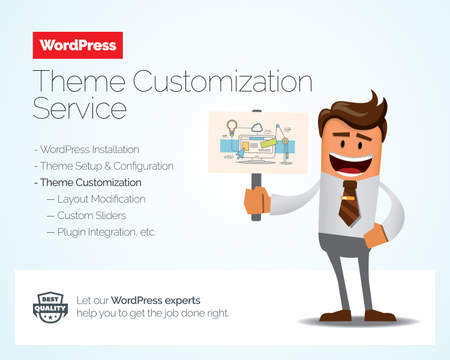 This includes all default themes and any downloaded from WordPress.org. 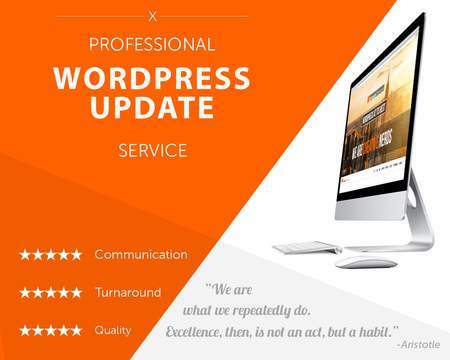 - Updates are fully tested to ensure nothing on your site breaks, and that everything is compatible. 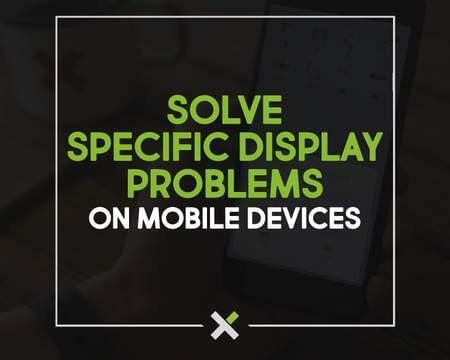 We sort any issues that may arise. 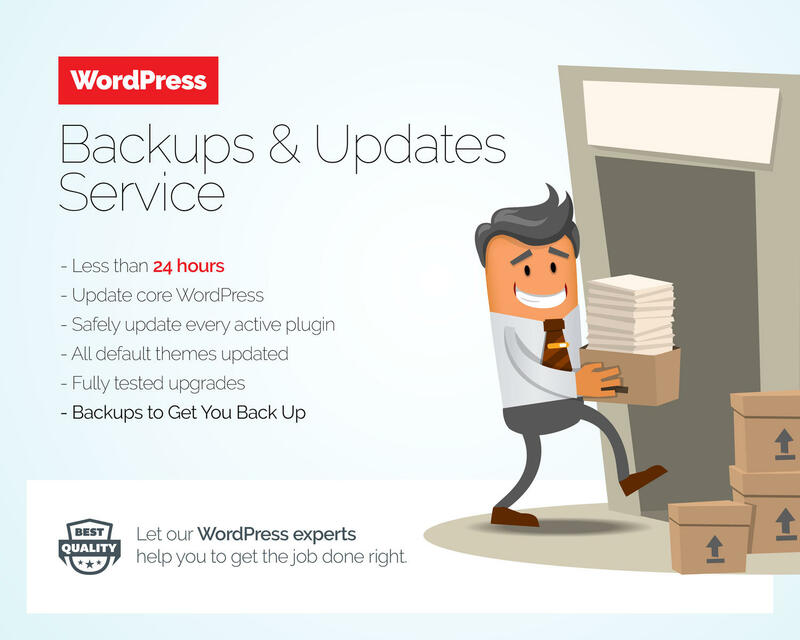 - On-site or off-site, we’ll backup your WordPress website on a schedule that’s right for you. 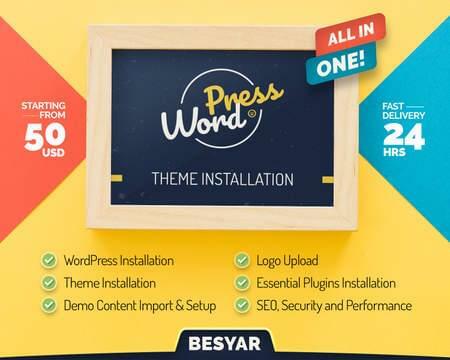 Your login details for your control panel (usually cPanel), FTP and WordPress admin are required.